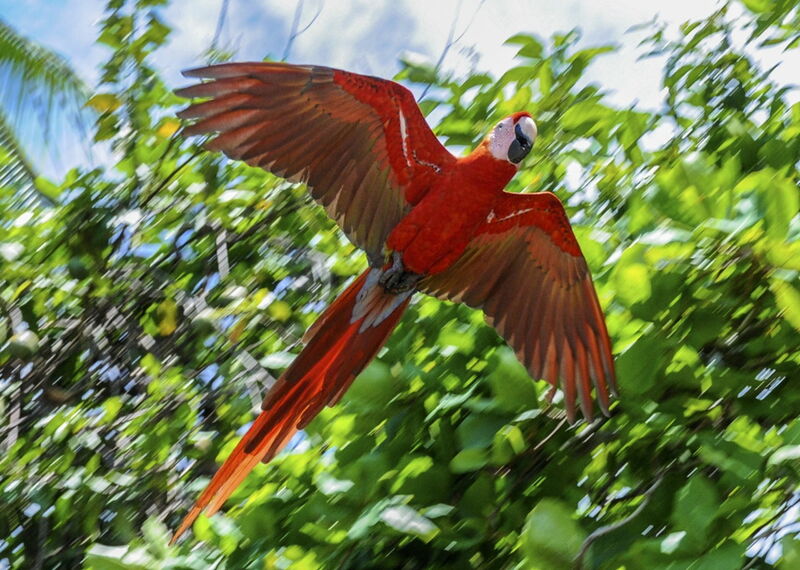 Macaws are beautiful birds that can speak our tongue. They are excellent pets. It's very sad that most of their species are on the verge of extinction. 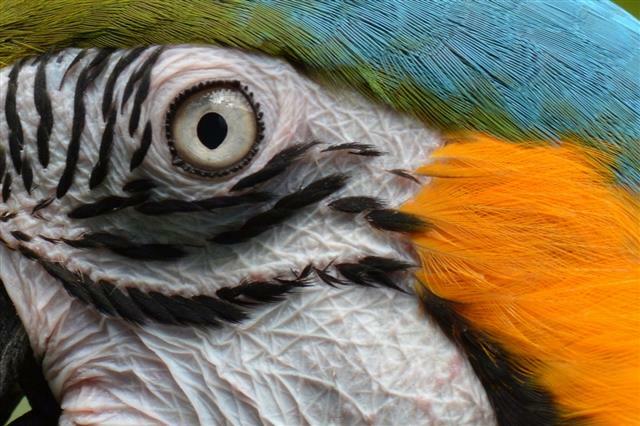 Macaws are effervescent. Their boisterous behavior makes you just love them. Mexico, South and Central America are their native lands. 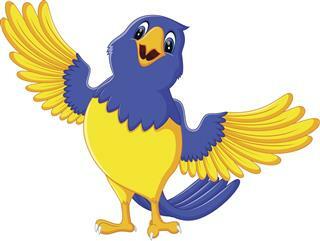 They live in evergreen forests, love the rains, and are fond of bathing. 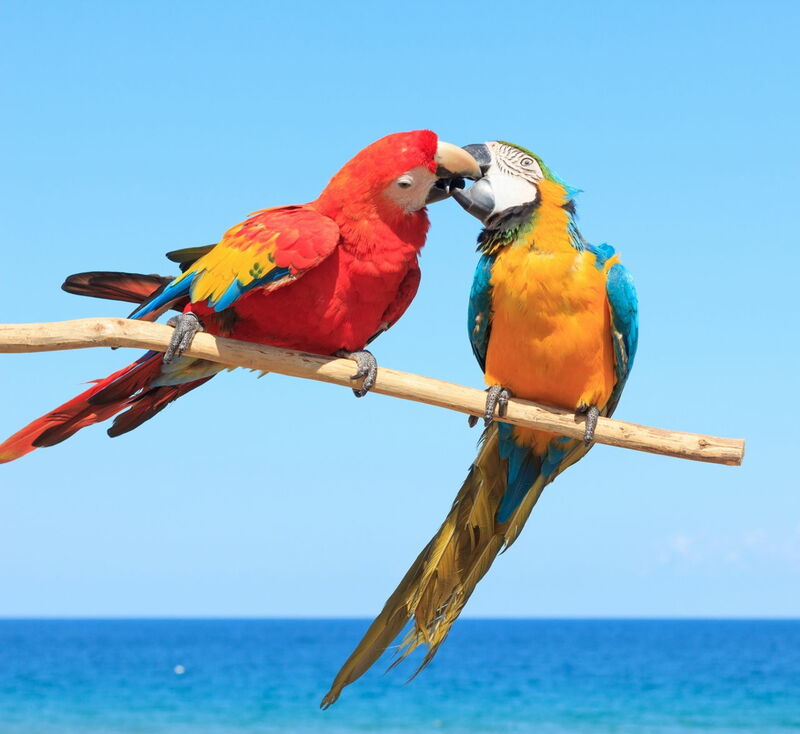 Once they mate, they live with their partner for their entire life. Thus, you usually find them in pairs. They have strong beaks, strong enough to crack open a coconut. Their average lifespan is around 50 years. 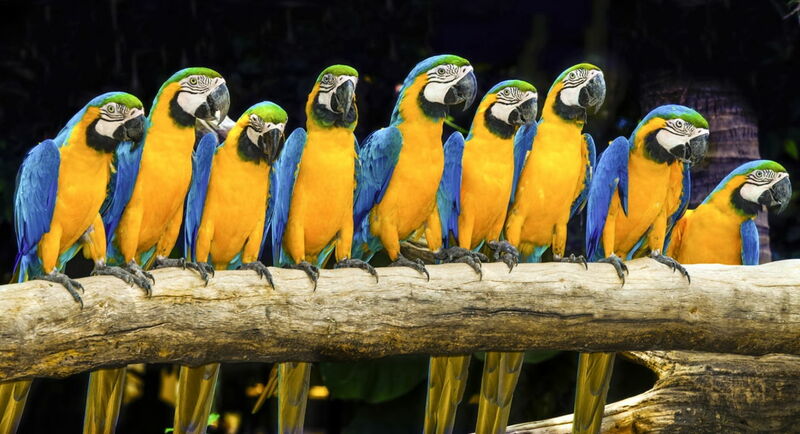 There are 17 living species of macaws, and most of the types of macaws are endangered. Macaws belong to the parrot family. 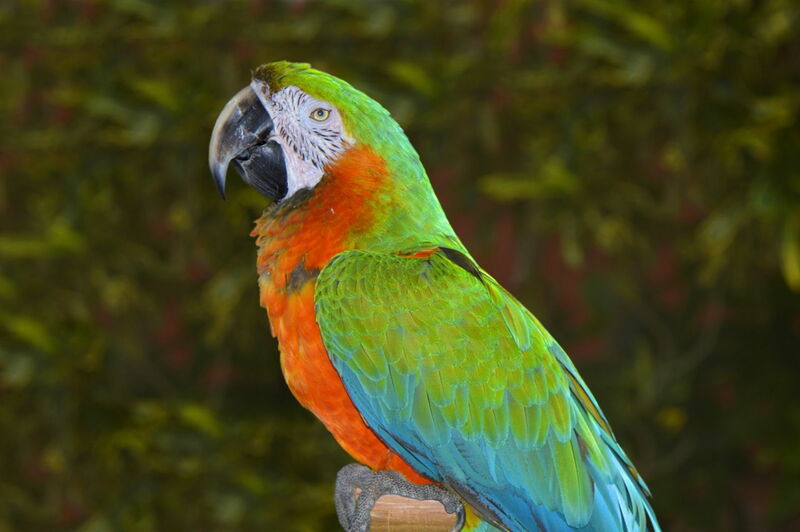 Ara, Anodorhynchus, Cyanopsitta, Diopsittaca Primolius, and Orthopsittaca, are the genera of macaws. Earlier, the birds in the Primolius genus were placed in the Ara. The macaws in the Primolius genus were placed in the genus called Propyrrhura. This nomenclature was changed by the ICZN. 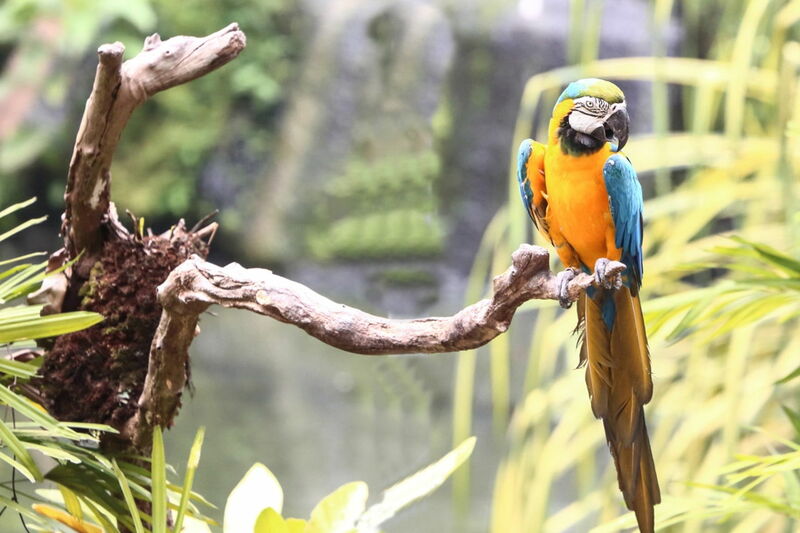 The rainforests are the habitat for a majority of macaw species, while the others dwell in the woodlands. Let's have a look at the different species. 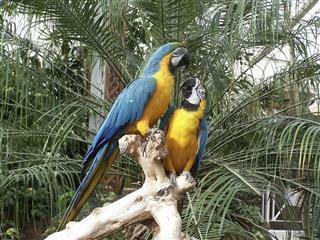 Ara Blue and Gold Macaws Ara ararauna They are native to a vast region of South America and the Amazon Basin. They grow up to 30 - 36 inches, and weigh around 2 - 2.7 lbs. 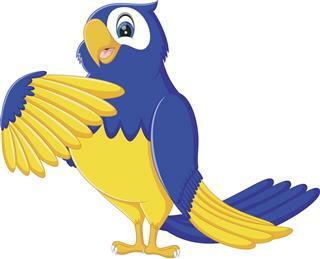 They are brilliant blue in color, with a yellow neck. They have a green forehead and a black chin. 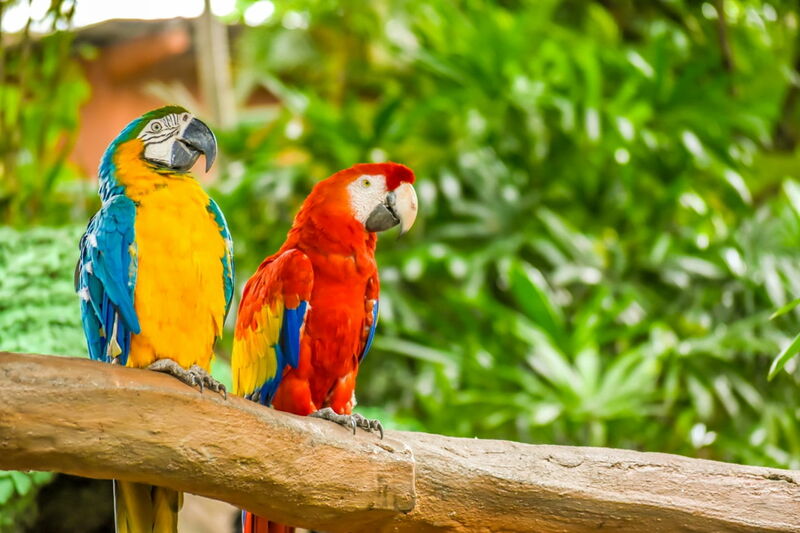 They are the most popular macaws around. 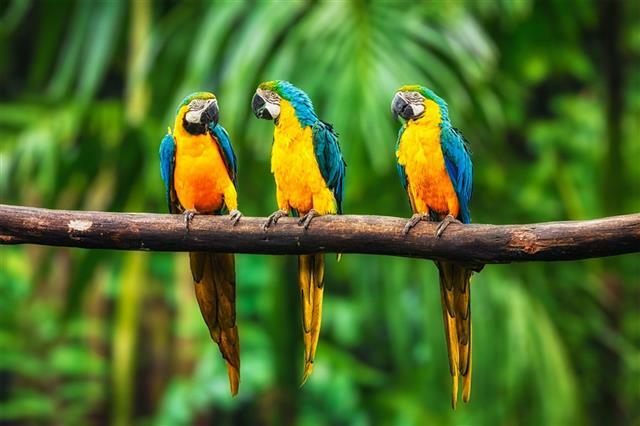 Ara Blue-throated Macaws Ara glaucogularis They are also called Caninde Macaws. 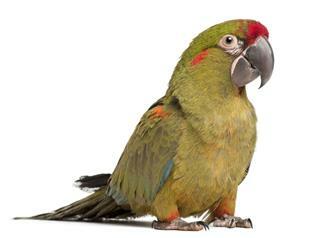 They are found in Bolivia and some parts of Argentina. They weigh around 1.7 lbs. They have an average height of 34 inches. They were thought to be a subspecies of the Blue and Gold Macaw, because of their similar appearance. 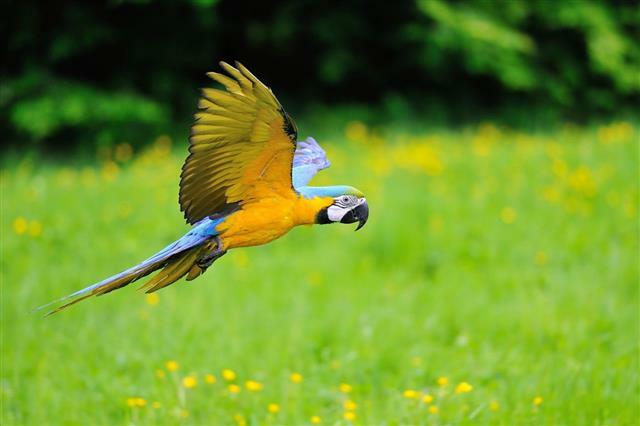 Ara Military Macaw Ara militaris They are found in South and Central America. They are 28 inches in height. Their weight is around 1.4 lbs. They are comparatively smaller than most others. Ara Great Green Macaw Ara ambiguus Nicaragua, Costa Rica, Panama, Western Colombia and Ecuador are their native territories. 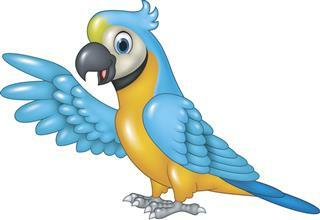 They are also called Buffon's Macaw. 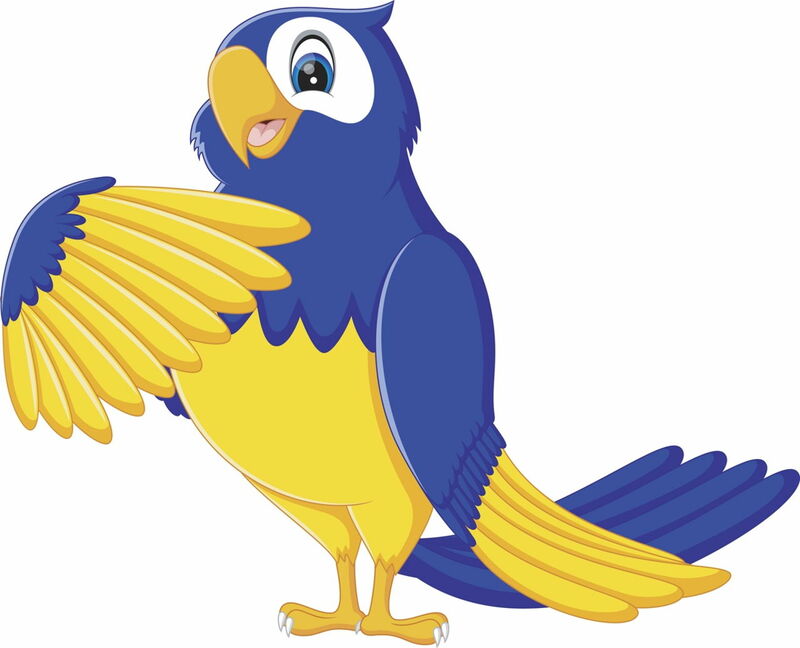 Their average height is around 34 inches, and weight is approximately 2.9 lbs. 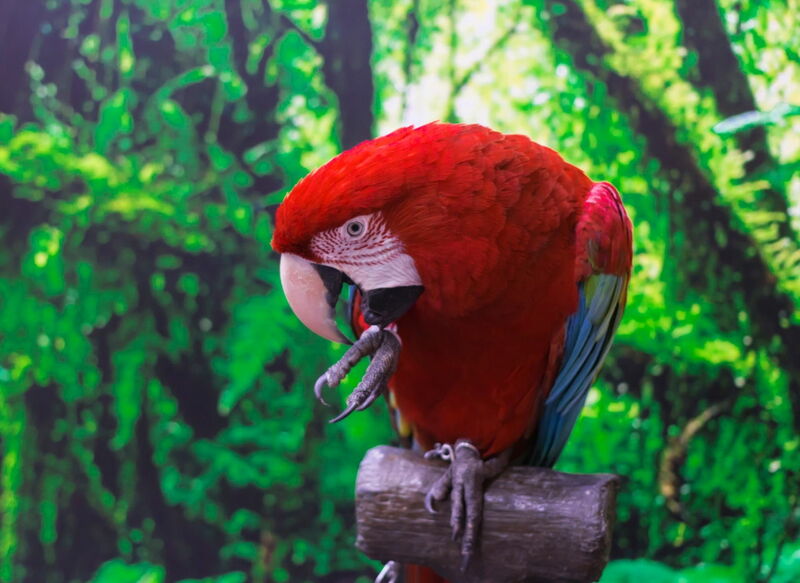 Ara Scarlet Macaw Ara macao These do not socialize easily. They weigh around 2.2 lbs, and their height may vary between 30 - 34 inches. They can be quite gentle if nurtured properly. 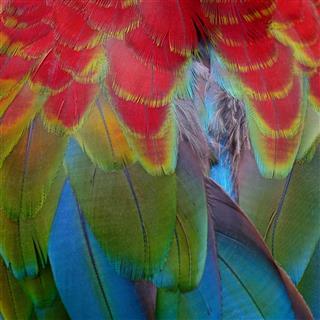 Ara Green-winged Macaw Ara chloroptera They inhabit the northern and central parts of South America. 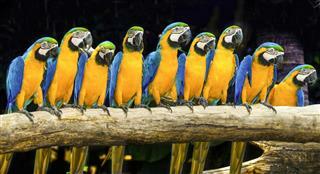 They are the largest among the Macaws. Since they are huge, they cannot be nurtured properly in small spaces. Their weight is around 2.7 - 3.7 lbs, and they can grow up to 49 inches in height. 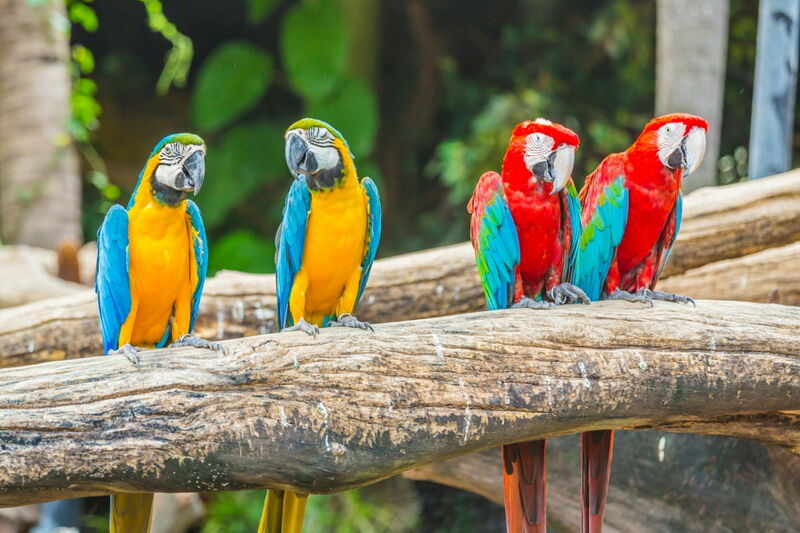 Ara Red-fronted Macaw Ara rubrogenys These are found generally in Bolivia. They weigh around 1.1 - 1.4 lbs. Their height ranges between 21 - 24 inches. These are quite endangered as of now. Mischievous by nature, they love to play. They have a red colored forehead. Ara Chestnut-fronted Macaw Ara severa They are also called the Severe Macaw. 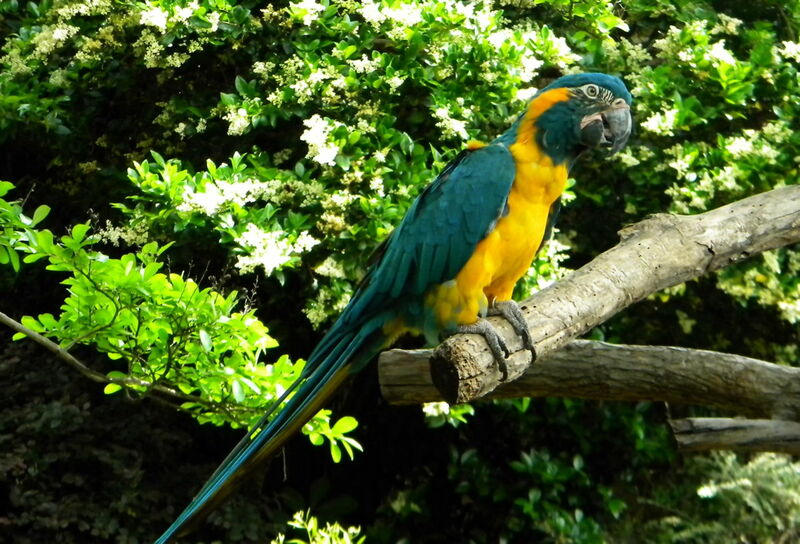 These are one of the larger mini-macaws. They have a chestnut colored forehead. They weigh around 1.4 - 1.9 lbs. They are 18 - 20 inches in height. They tend to be aggressive at puberty. Orthopsittaca Red-bellied Macaw Orthopsittaca manilata These are generally found in the localities with Moriche palm trees. 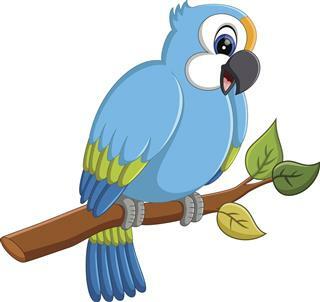 They are mostly green with a bluish forehead. They have a reddish abdomen. They weigh around 0.66 lbs, and grow up to 18 inches. Primolius Blue-headed Macaw Primolius couloni They are also called the Coulon's Macaw. They are usually found in the south-west Amazon region, and are a type of mini-macaw. They height can grow up to 16 inches, while their weight lies between 0.65 - 0.67 lbs. Primolius Blue-winged Macaw Primolius maracana Weighing around 0.55 lbs, they usually have a height of just 16 inches. 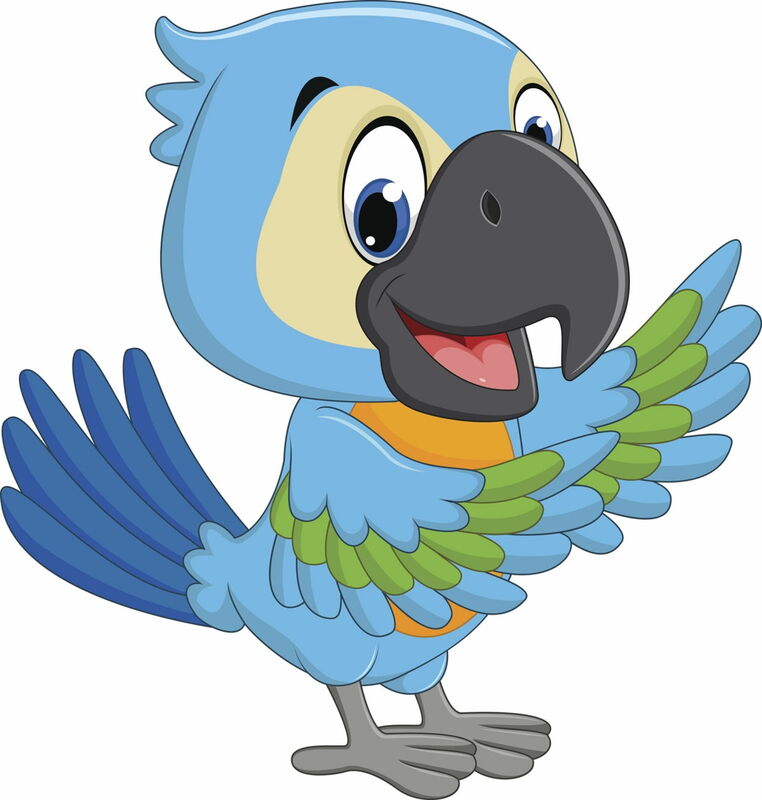 They are also called Illiger's Macaw. 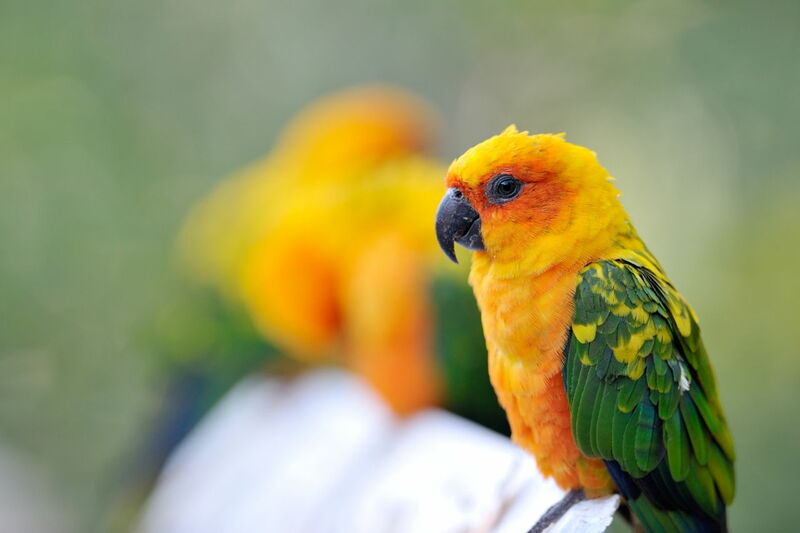 They are found in eastern and southern Brazil. 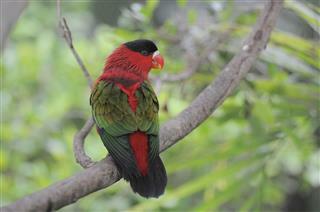 Their lower abdomen and lower back is red in color. 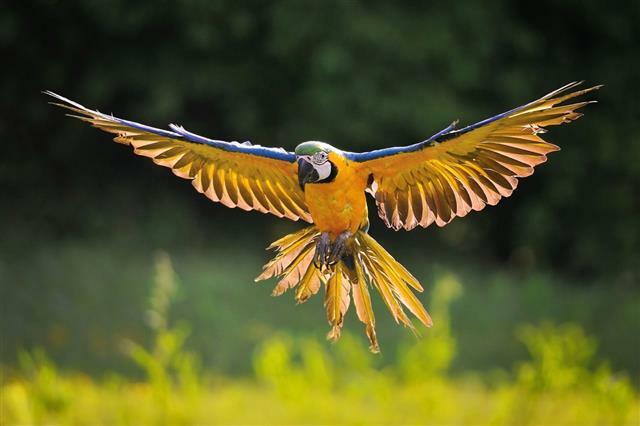 Primolius Golden-collared Macaw Primolius auricollis They are also known as the Yellow Collared Macaw. 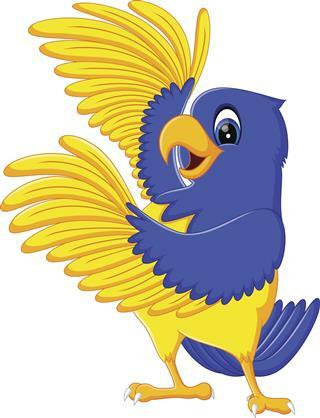 This type is fairly common. Their weight is around 0.55 lbs, and can grow up to 15 inches tall. These are usually found in the lowlands. Their golden collar develops with age. Diopsittaca Red-shouldered Macaw Diopsittaca nobilis They are 12 inches tall and weigh around 0.36 lbs. 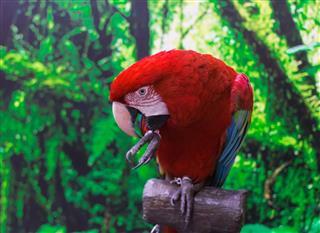 They are the smallest macaw species around. Noble Macaw and Hahn Macaw are their subspecies. 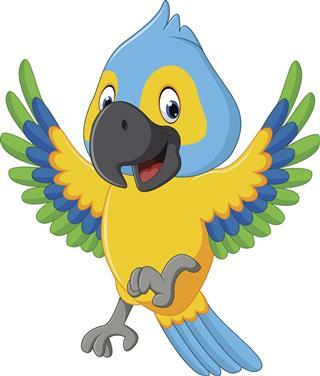 Anodorhynchus Glaucous Macaw Anodorhynchus glaucus They are pale turquoise in color. 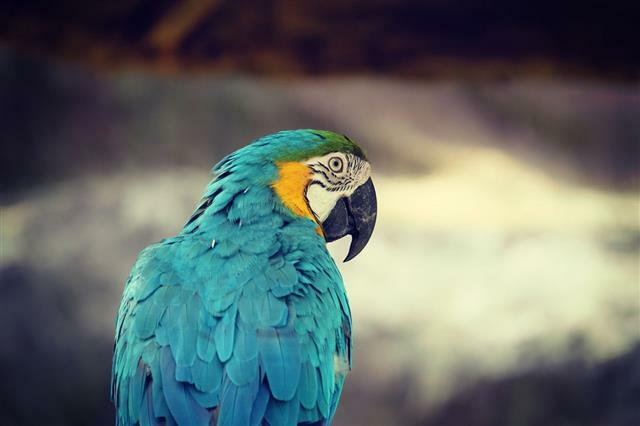 They are believed to be extinct, and they resemble the Hyacinth Macaw. Information about their height and weight is not clearly available. Anodorhynchus Hyacinth Macaw Anodorhynchus hyacinthinus They can be easily termed as the largest flying parrot species. 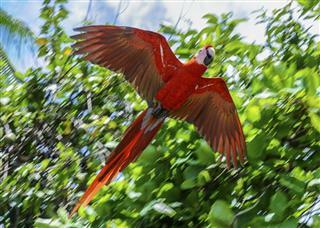 Only a few types of the Green-winged Macaws are larger than them. They are 3.3 feet tall, and weigh around 3.7 lbs. 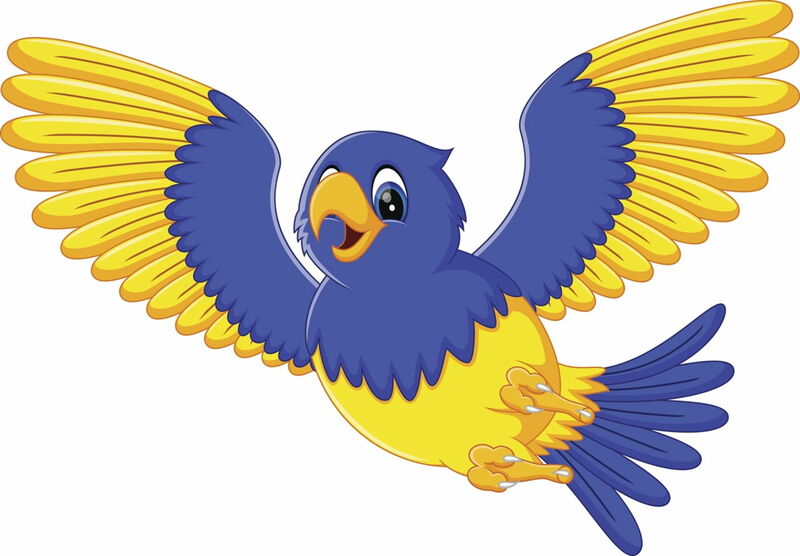 They are blue in color, and have a yellow ring around their eyes, The base of their lower beak is also yellow in color. 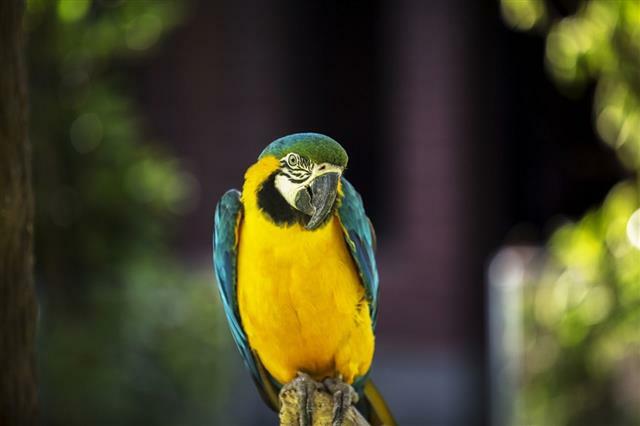 They are popular as pets, but are endangered too. Anodorhynchus Indigo Macaw Anodorhynchus leari They usually inhabit the areas with Licuri palms. They weigh around 2 lbs, and can grow up to 30 inches in height. They are metallic blue in color mixed with black shades. Cyanopsitta Little Blue Macaw Cyanopsitta spixii They are also called the Spix's Macaw. 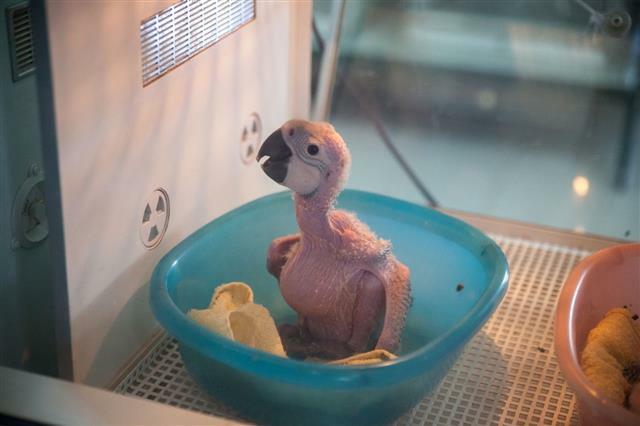 They have a height of 21.5 - 23.5 inches, and weigh around 0.66 lbs. They have a pale blue coloring. 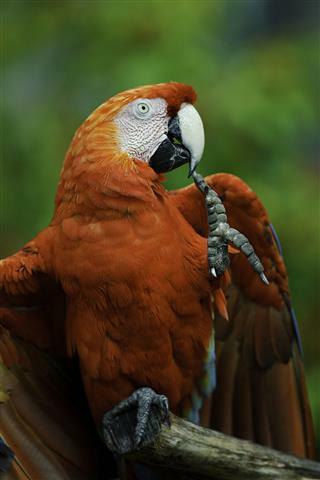 They are critically endangered species. 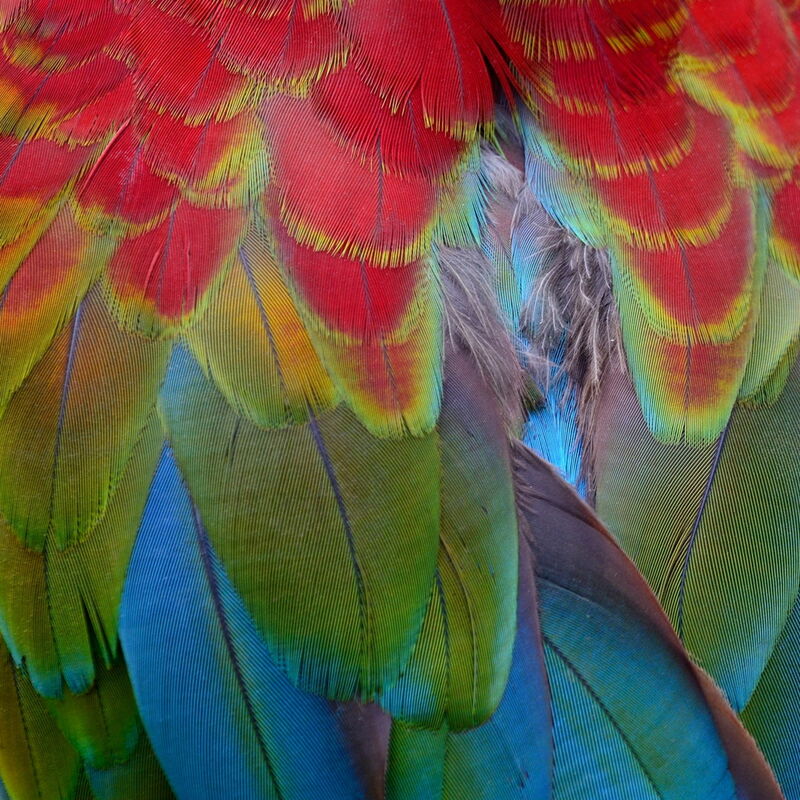 Ara Cuban Red Macaw Ara tricolor These are extinct. They were 18 - 20 inches tall. They are also called the Hispaniolan Macaw. Both the sexes had an identical appearance. 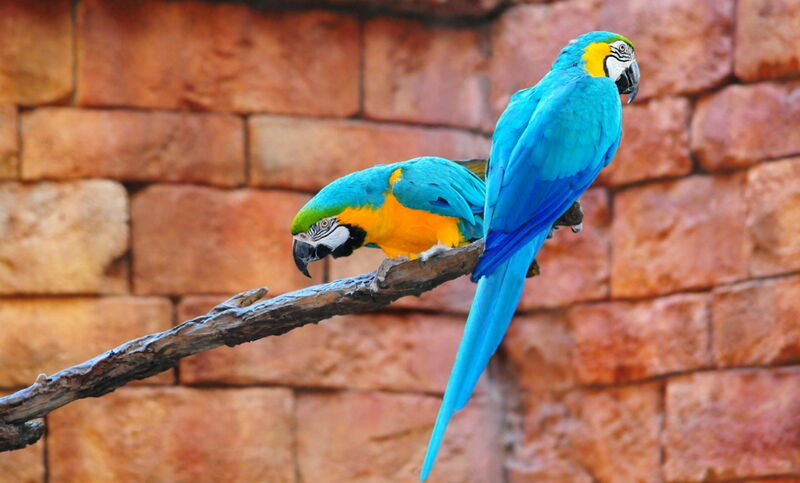 Ara Saint Croix Macaw Ara autochthones These too are extinct. 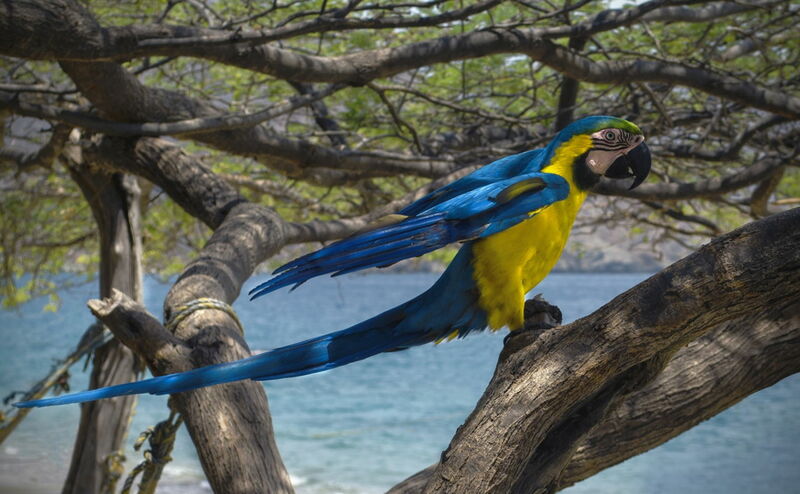 They were native to the Caribbean island of Saint Croix. Any information available on them is generally based on the study of their fossils. Apart from these, there are a few hypothetical species of macaws too. The common name of a macaw easily indicates its appearance. 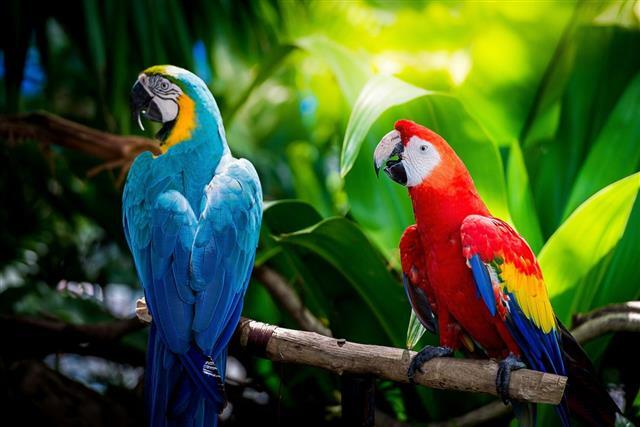 In general, it is very difficult to distinguish between the sexes of the macaws. 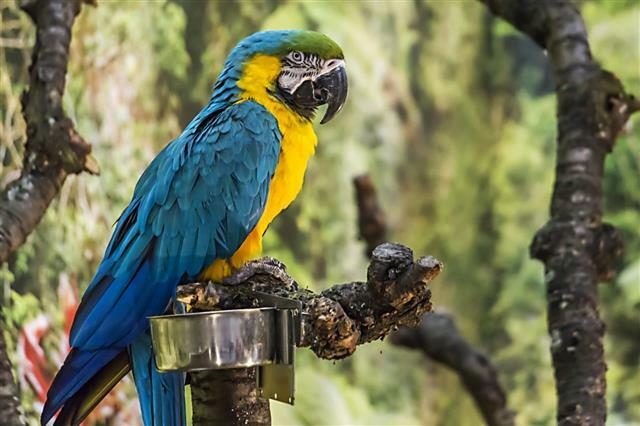 Most of the macaw species are endangered due to the loss of their habitat. The extinction of these attractive species of birds needs to be prevented.